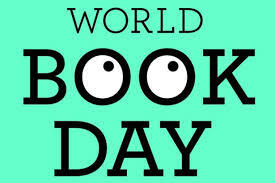 Today, World Book Day, it wouldn't hurt to recall that the history of literature is an unceasing paradox. Plato never wrote his most famous line: "Only the dead have seen the end of war." Don Quijote de la Mancha never said: "Let the dogs bark, Sancho. It's a sign we are on track." Voltaire's best-known line was not said or written by him: "I do not agree with what you have to say, but I will defend to the death your right to say it." Georg Wilhelm Friedrich Hegel never wrote: "All theory is gray, my friend, but green is the tree of life." Sherlock Holmes never said: "Elementary, my dear Watson." In none of his books or pamphlets did Lenin write: "The ends justify the means." Bertolt Brecht was not the author of his most oft-cited poem: "First they came for the Communist / and I didn't speak out because I wasn't a Communist..."
And neither was Jorge Luis Borges the author of his best-known poem: "If I could live my life over / I would try to make more mistakes..."